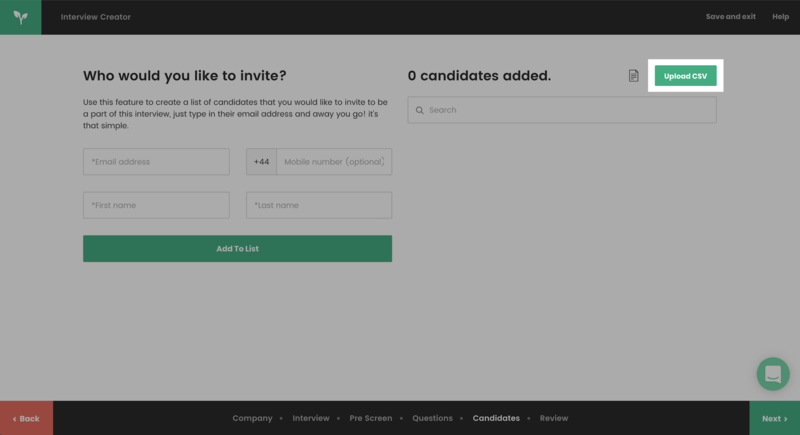 How to invite candidates via our CSV Upload. Inviting bulk candidates at once is key with Video Interviewing. We all use a number of different systems to source our candidates, so getting them into StemX quickly is what keeps the platform efficient. First of all, you will have to download the StemX CSV template. You can download it right here, or you can download it in the Interview Creator in Candidates section. Once you have downloaded and added your candidates into the StemX template, you will have to upload your candidates using the 'Upload CSV' button. See the screenshot below. 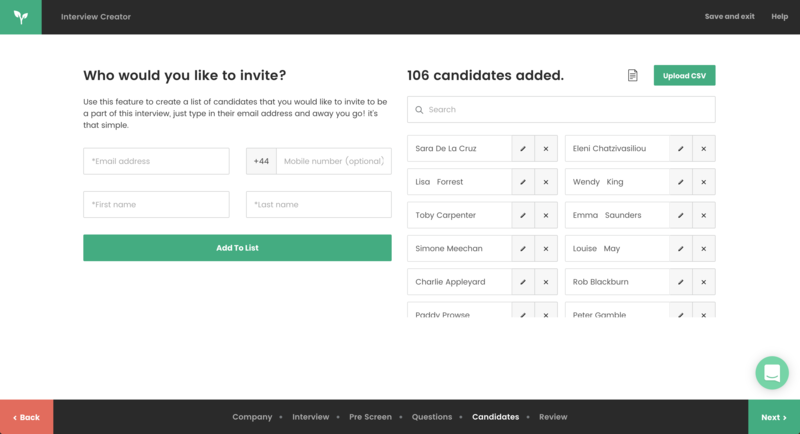 Once you upload your CSV, below should start populating with all the candidates you have invited, do not press next or exit the page until all your candidates are uploaded and you can clearly see they are uploaded. You can now proceed to the next stage. If you have any problems, please don't hesitate to contact us and we will help you through the process.